The perfect solution for home theater and mobile iPod / iPhone integrations. 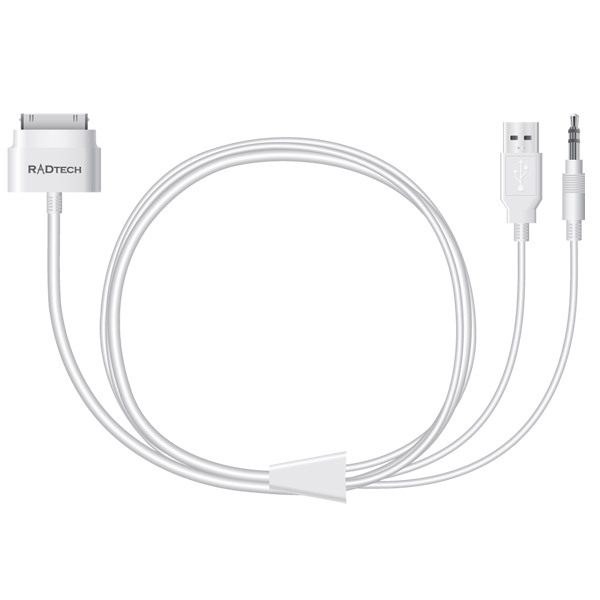 Description: RadTech's ProCable 30-pin to USB & 3.5mm line out audio is a lightweight and flexible cable that allows you to tap the high-fidelity line-out audio from an iPod or iPhone and feed it directly into a home or auto sound system. This cable also allows you to charge and power said iPod or iPhone via a standard USB port. 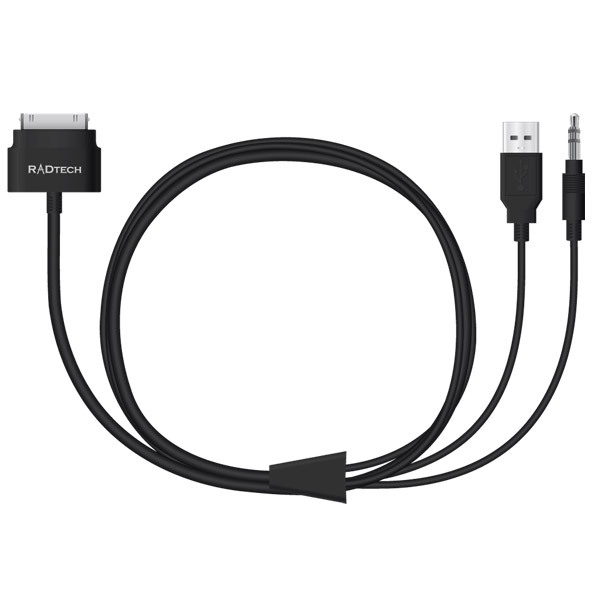 Combine with RadTech's ACpower USB charger for home set-ups, or with our AutoPower in-vehicle charger when using the cable in a vehicle. Note: The USB port used for charging must output the minimum USB standard of 5 volts and 500 mA.